This vessel is carved from a piece of box elder which has some spalting and curl in the grain. It is 6 1/2" tall and 7 1/2" in diameter. 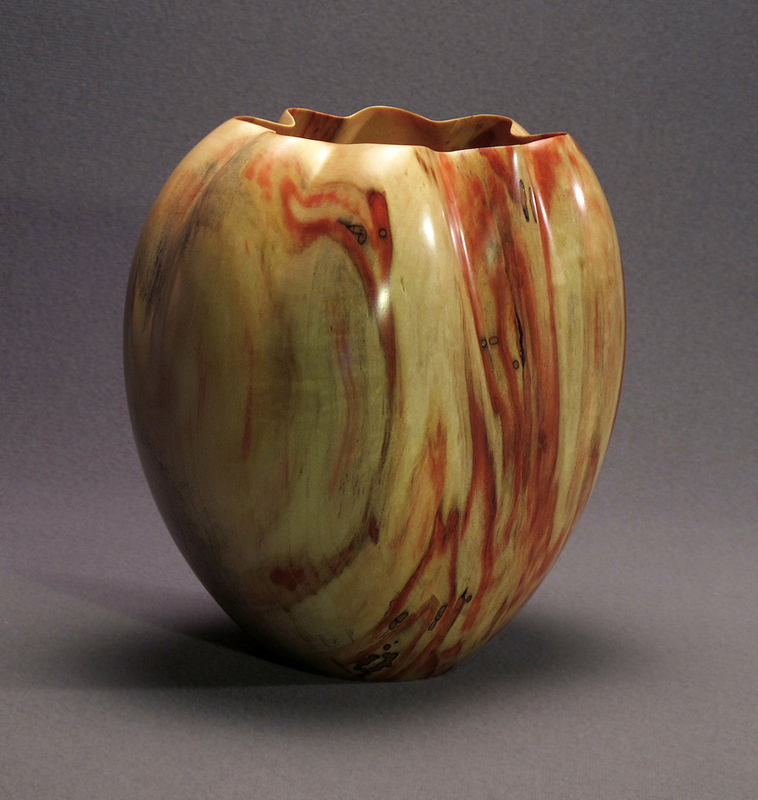 This vessel is carved from a highly figured piece of box elder. It is 7" tall and 7 1/2" wide and 7" deep. This vessel is carved from a spalted and figured piece of hackberry. It is 6 1/2" tall and 6 1/2" wide and 6 1/2" deep. 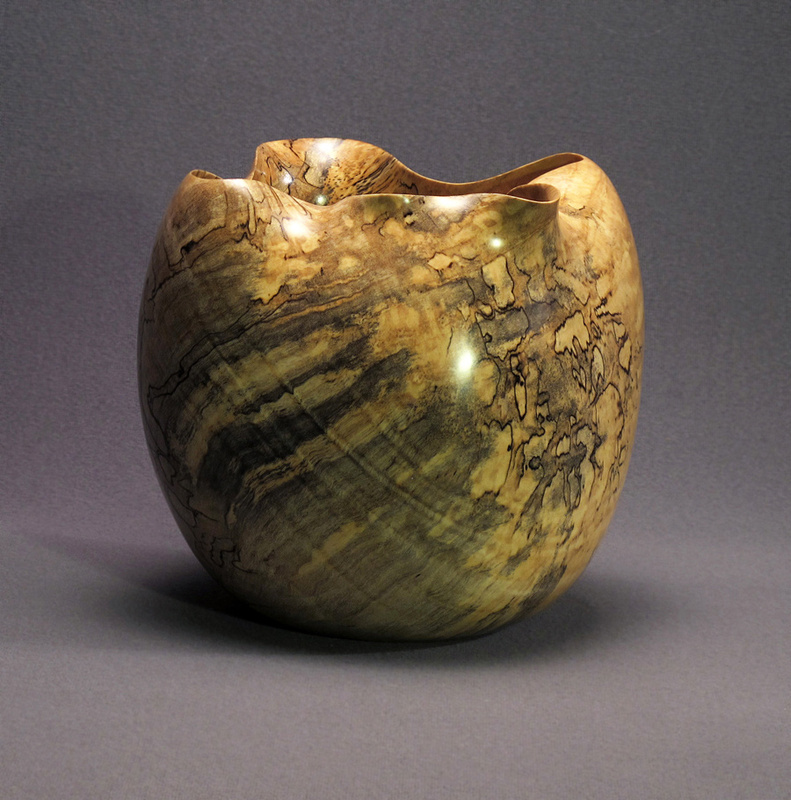 This vessel is carved from an oak burl. Grain in a burl doesn't follow any particular direction and the grain in this one swirls. It is 7 1/2" tall and 6 1/2" in diameter. 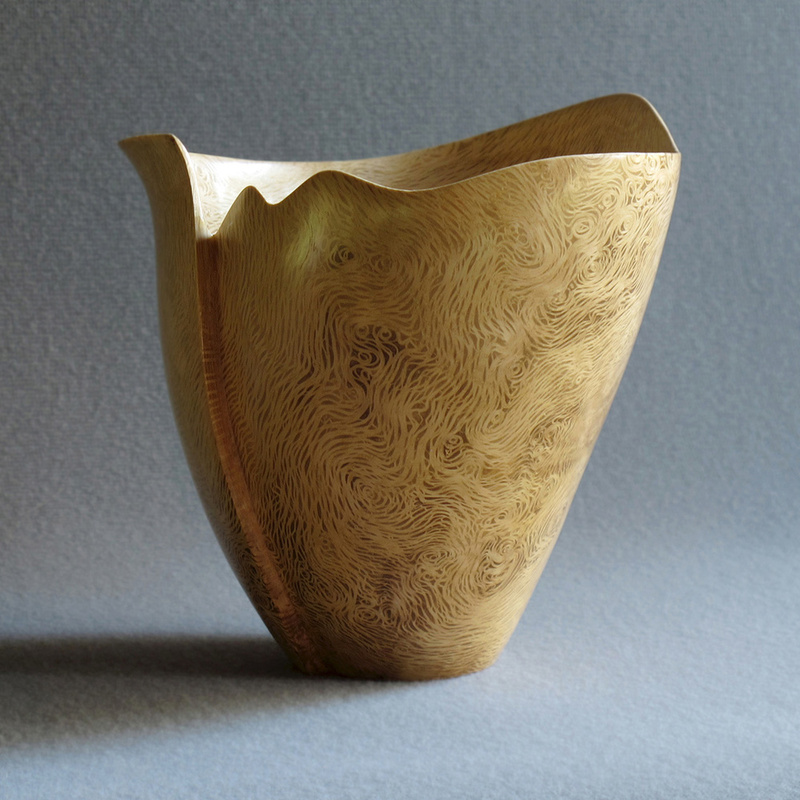 This vessel is carved from an extraordinary piece of spalted maple. It is 6 3/4" tall and 6 1/2" in diameter. These vessels are carved from blocks of wood and not turned on a lathe. I choose woods that have interesting grain and color. They are sanded smooth and burnished to a glossy sheen. Each one takes several days to complete.